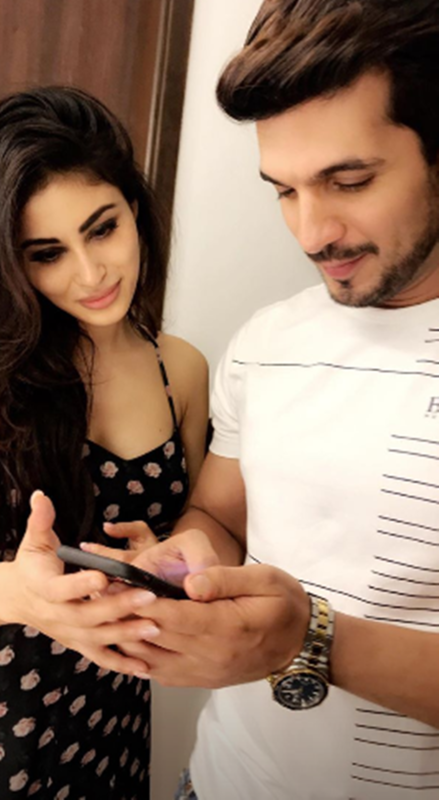 After Gold and Brahmastra, Mouni Roy was recently confirmed for John Abraham’s espionage drama RAW. But that is not it. Mouni also has got a new pad and a house warming party was held on Wednesday. 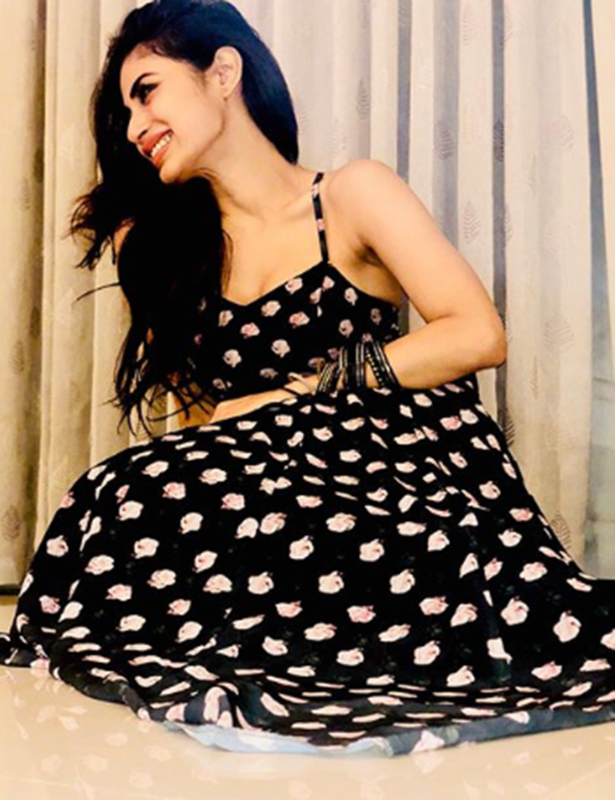 Mouni Roy is a happy girl. After Gold and Brahmastra, the actor was recently confirmed for John Abraham’s espionage drama RAW. But that is not it. Mouni also has got a new pad and a house warming party was held on Wednesday. Scroll to see photos. Mouni Roy shared a few photos from the night with the caption, "Friends are family and i am grateful ❤️." 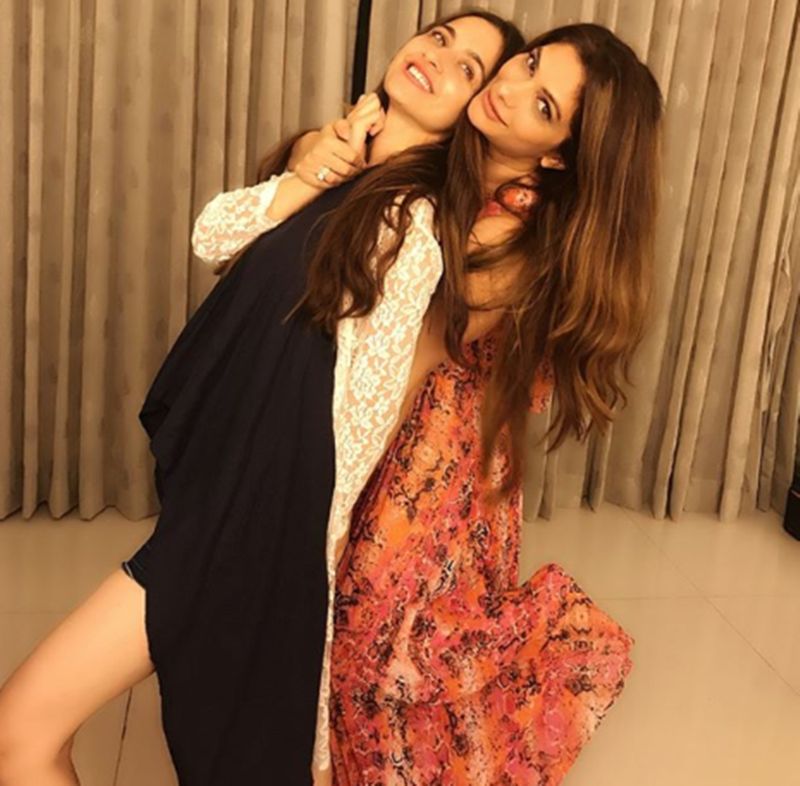 Mouni Roy had her besties by her side on this special day. Sanjeeda Sheikh is one of them. 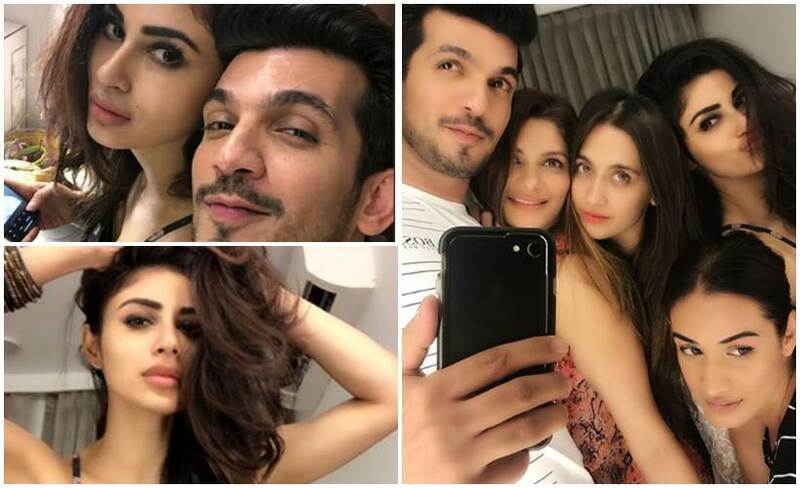 Arjun Bijlani was also seen at Mouni Roy's house party. 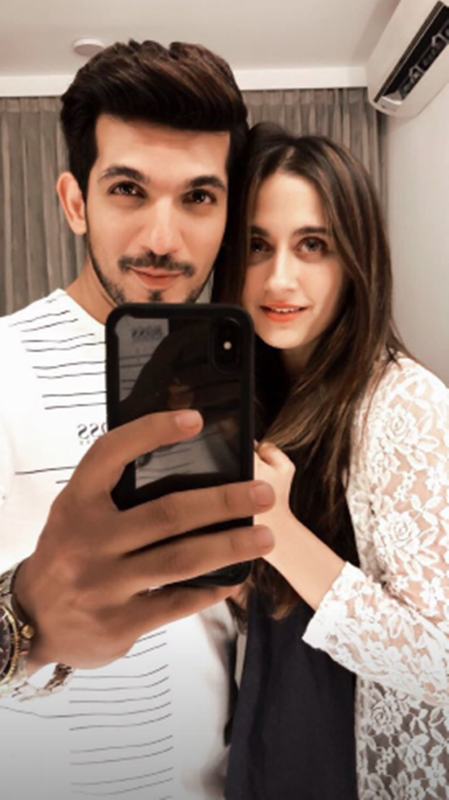 Arjun shared a post for the actor and wrote, "Golden light for golden girl #friends #congratulations #newpad .bless u with more and more films, success and khoob saara pyaar @imouniroy ...."
TV actor Karishma Modi also shared a note for Mouni. 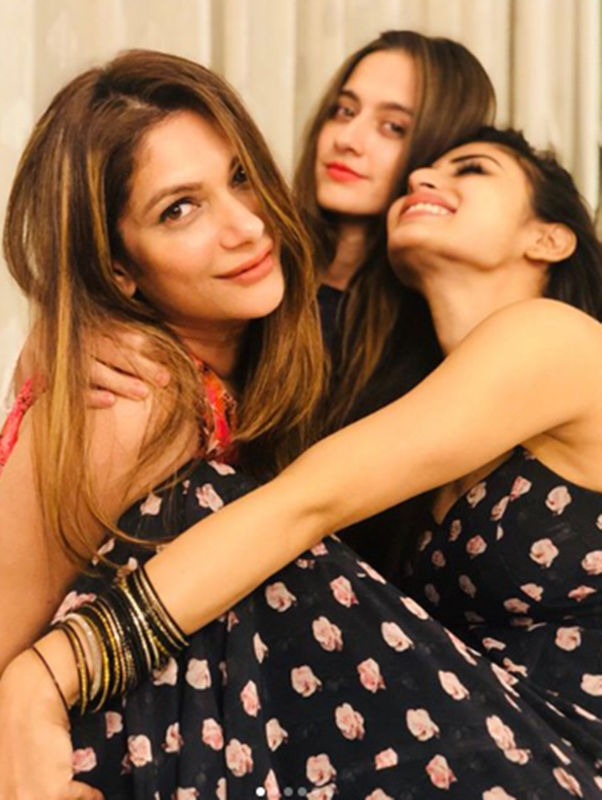 "Thank you my Momo for the wonderful evening ❤️ #friendslikefamily #eveningslikethese #insta #instagram #instagood #mouniroy #karishmamodi," read the picture caption. Mouni Roy loves to pose and she did not miss a chance to do it at the bash. Sanjeeda's husband Aamir Ali, producer Sohanna Sinha, Anisha Verma and Roopali Kadyan were also present at the party. 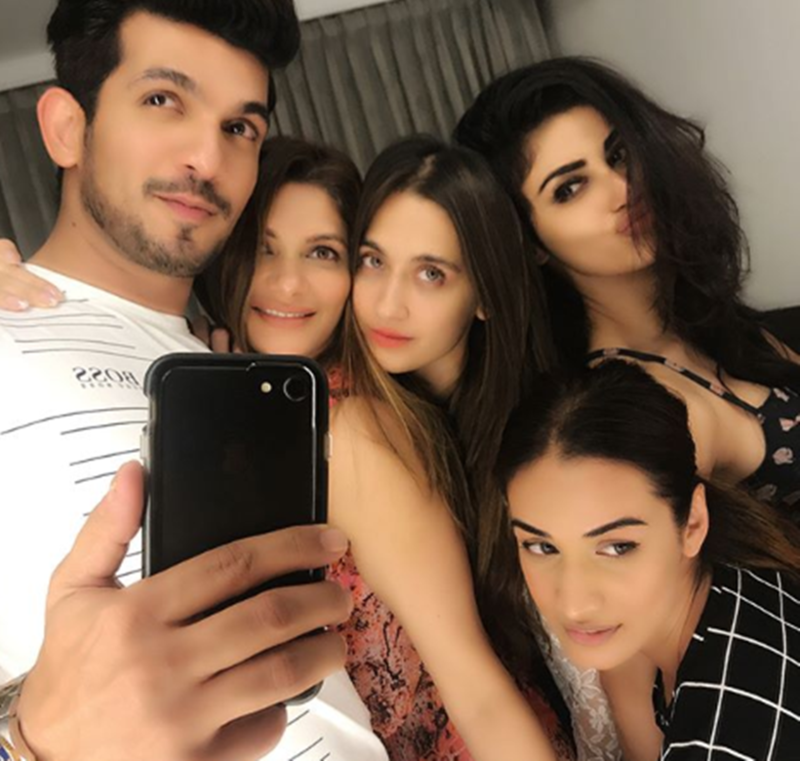 Mouni hosted the intimate bash for her friends who are like ‘family’. Mouni also shared a video with Sanjeeda.